I was born in 1977 in Chiavenna (Italy), where I lived – and studied – until my 19th birthday. I graduated with an MA in Literature and Philosophy at Scuola Normale Superiore, in Pisa, with a dissertation on the Communist cooperatives’ cinema in Weimar Germany. After arriving at Corriere della Sera with a post-graduation internship, I spent nine years in the newsroom in via Solferino (Milan), as a staff reporter for National News (with regular summer breaks as foreign correspondent in Berlin). During my time at the daily, I took two unpaid leaves to pursue a summer school in International Human Rights Law at Oxford, and a fellowship at the Reuters Institute for the Study of Journalism, at the same university, researching migration coverage in European media. 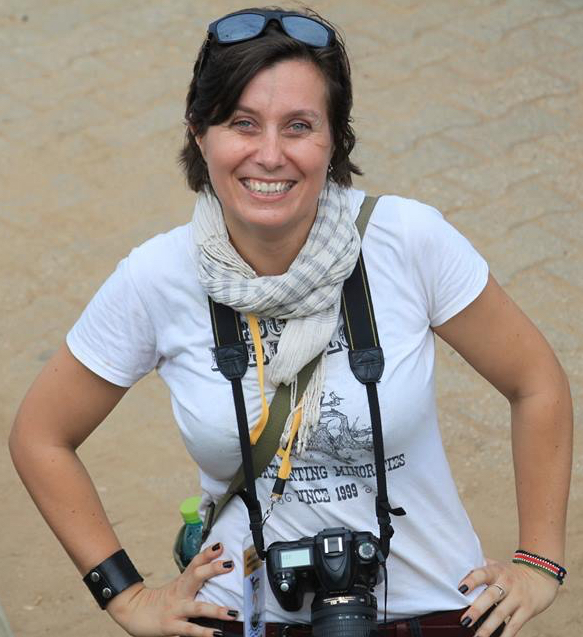 In 2011 I quit my position at Corriere; after a few months in the USA, I moved to South Sudan in order to train local journalists. At the end of 2013, when conflict broke out in the country, I moved back to Italy. In 2016 I co-founded Factcheckers, the first no-profit association dealing specifically with educational fact-checking. From October 2017 to July 2018 I worked in Fiesole (Florence) in my new position as Policy Leaders Fellow at the School of Transnational Government – European University Institute, with a research project on fake news and international policies. From February 2019, I am part of the research team at the Centre for Media Pluralism and Media Freedom (EUI). My fields of work range from communication to digital storytelling, graphic journalism, writing(s). I published several essays and books, with Italian and international publishing houses. I am a regular contributor of Donna Moderna and, less often, of other media.